The next big (or small) thing? In early 2017, a panel reporting to the World Health Organization (WHO) identified 12 of the most deadly pathogens known to man: the who’s-who (pardon the pun) of up-and-coming, (potentially) world-ending bacteria. 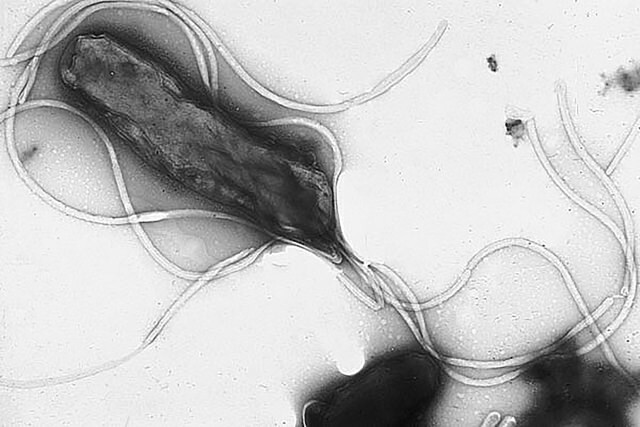 The panel, a team of experts in public health and infectious diseases, determined that these bacteria posed a significant danger to humanity due to their resistance to many commonly-used antibiotics, and placed them on a list of “priority pathogens” which needed urgent remedial attention, in order of likely threat level. Hold on to your hats, here are just some of the contenders for superbug-of-the-year award! 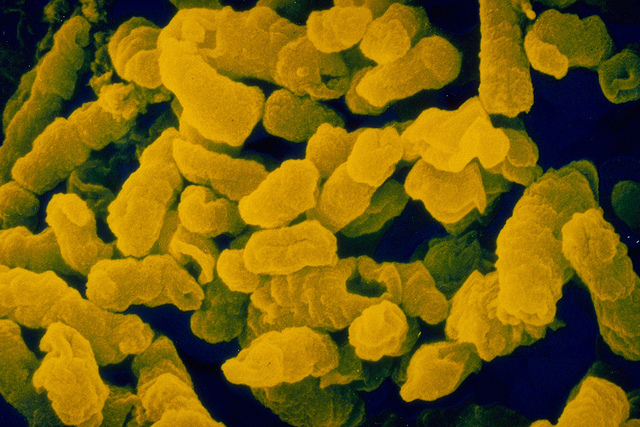 This jack-of-all-trades bacteria is both durable and deadly. Like others in this category, the panel rated treatments for this pathogen as ‘critical’ because it frequently infects patients who are already hospitalized, often causing severe illness and death! It is resistant to several commonly-used antibiotic treatments, and in large numbers the it can amass into a “biofilm” – effectively a blanket of bacteria which is hard to remove and completely overwhelms a victim’s immune system. These characteristics mean that it is difficult to treat, and coupled with its ability to colonize virtually any man-made environment in large numbers (including in low-oxygen conditions) means it is very hard to remove. But not to worry, its ability to infect healthy people is limited… for now. 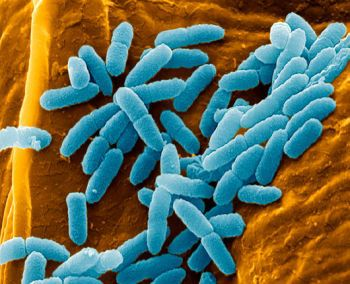 The scientific name Pseudomonas aeruginosa refers to the bacteria’s blue-green colour under laboratory conditions. 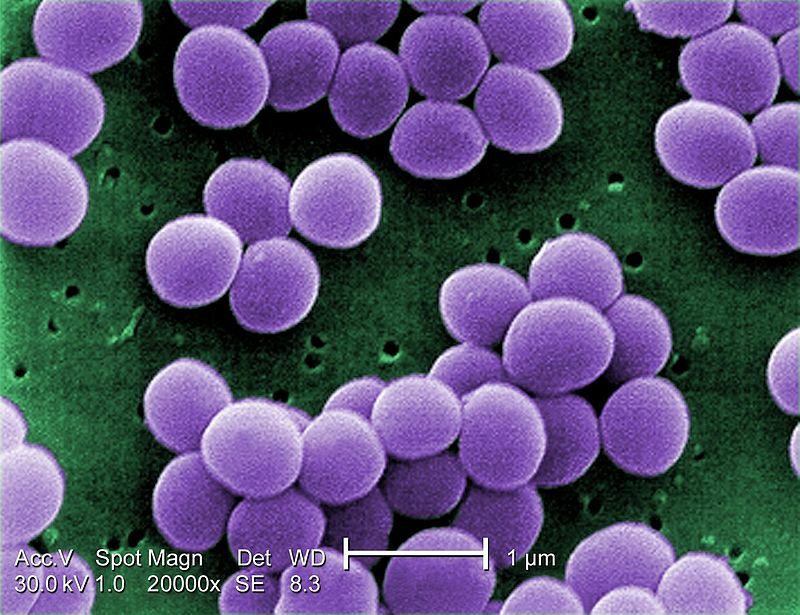 Better known as the dreaded Golden Staph, this bacteria is about as nasty as it gets. Able to infect healthy people, Golden Staph can cause a range of minor and major illnesses, from boils to meningitis. Its place on the WHO’s list was earned through the “dramatic health and economic impact” it causes, rather than a significant mortality rate. Some strains of the bacteria, known as multi-resistant S. aureus (MRSA), are resistant to certain antibiotics, which is a major problem in the treatment of this persistent bacteria. To make matters worse, the bacteria can be found across the skin and in warm recesses of the body (such as armpits or nostrils), even in healthy people, meaning there is no avoiding it! Thankfully, simple hygienic routines are usually enough to keep infections at bay. Over 50% of the world’s population harbor this bacteria, which calls their stomach home. An interesting candidate for the priority list, it often never causes illness or symptoms in the majority of people it infects. Unfortunately, residents of developing countries are more prone to illness, as treatment is difficult and they are often already suffering from other conditions which supress their immune system. Symptoms of an infection are not as severe as other priority bacteria, and are almost entirely restricted to the stomach. However, these symptoms can persist over the course of a victim’s lifetime, with a low risk of suffering from stomach ulcers and stomach cancers. Definitely a wildcard for the world-ending bug category. The bacteria’s shape and multiple flagella allow it to burrow into the stomach lining and avoid stomach acid. While its name might suggest that it is the cause of the ever-present flu, this is in fact a misnomer caused by identification during an influenza pandemic in the late 19th century. There are many strains of this bacteria, with the most damaging strain being H. influenzae type B (HiB), which can cause many severe diseases such as epiglottitis (inflammation of the epiglottis which inhibits breathing and swallowing). Thankfully, if you’re old enough to read this, you’re probably not infected: vaccines are widely available and administered, which means the bacteria is largely restricted to babies and areas of low vaccination rates. An infection is treatable with most antibiotics, however the bacteria’s biology means it is resistant to certain penicillin based substances. What an amazing collection of natural killers! However, while they’re all potentially deadly, we must remember that these bacteria are on the WHO’s priority list for vaccines and treatments, meaning we still may have a chance, and that proper health practices can often stop these bacteria in their tracks, as many are opportunistic and attack when we are already ill. Remember to wash your hands and you should be fine! Previous Previous post: The one molten moon. Forged in the magma debris of the giant impact. I know it’s a potentially serious and macabre topic but I wanted to make it fun and educational, as well as introducing people to things that I find really interesting. I’m glad you saw it that way! Who doesn’t love to read about how they’re going to die!? Loved the game show/award show vibe of this – you took something potentially dry and serious and made it a lot more fun.